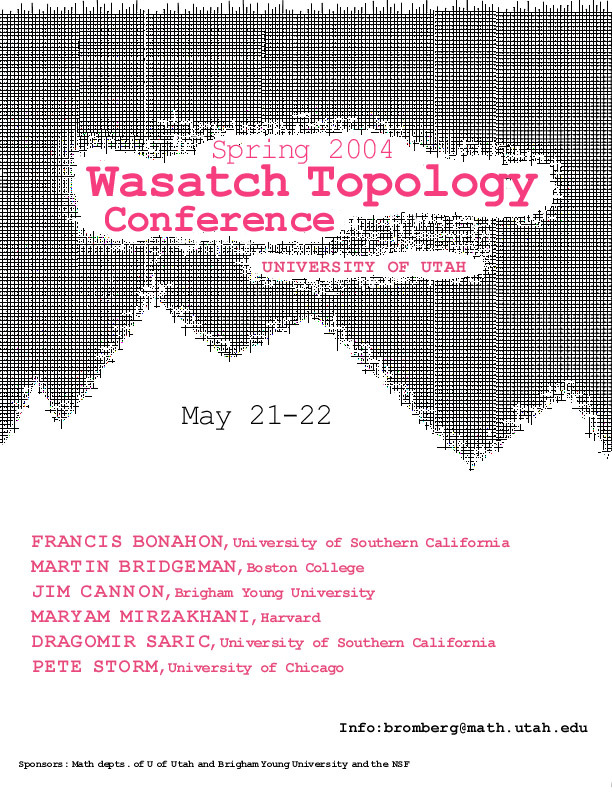 The Mathematics departments of the University of Utah and Brigham Young University along with the National Science Foundation are sponsoring the Nineteenth Semiannual Wasatch Topology Conference to be held May 21-22 2004 in at the University of Utah in Salt Lake City Utah. Accommodations are available at the University Guest House. The rooms are $69 a night and include breakfast. The phone number is 1-888-416-4075 and the rooms are being held until May 6.